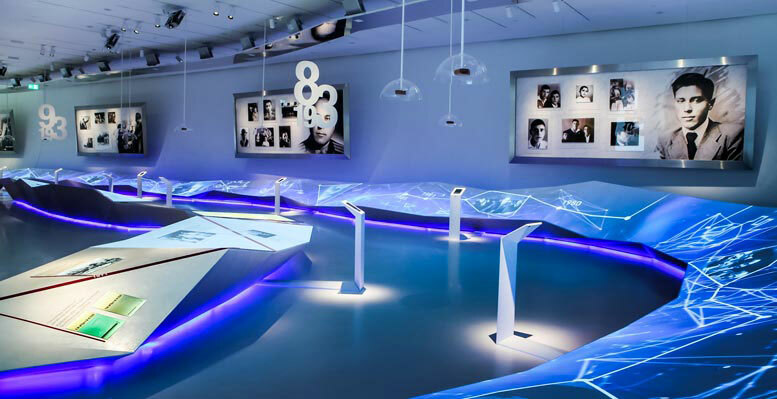 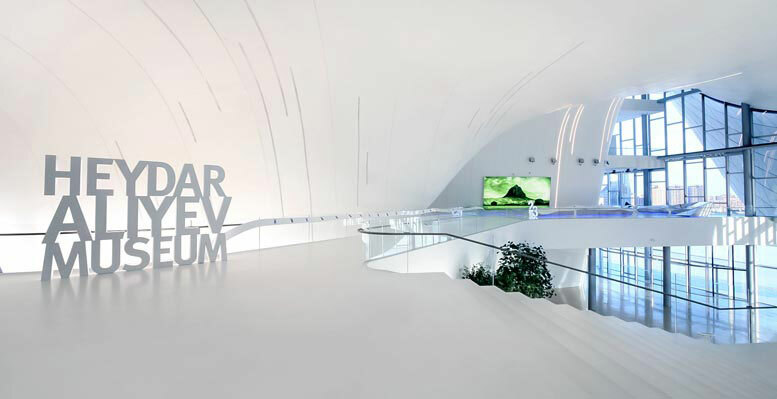 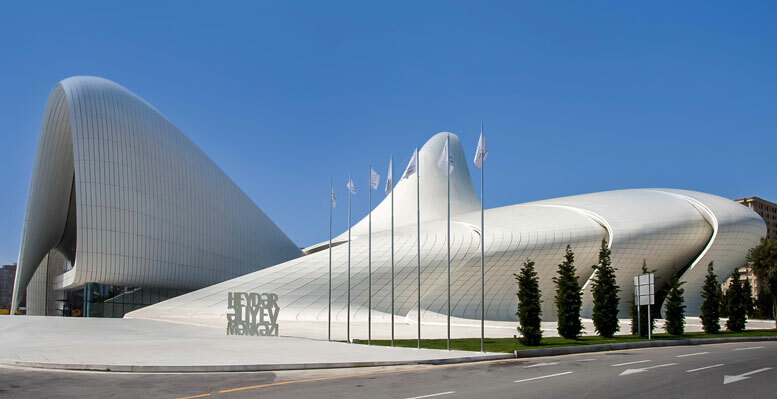 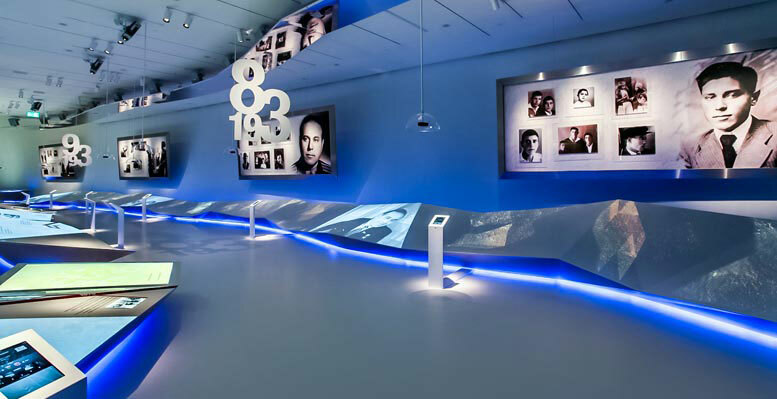 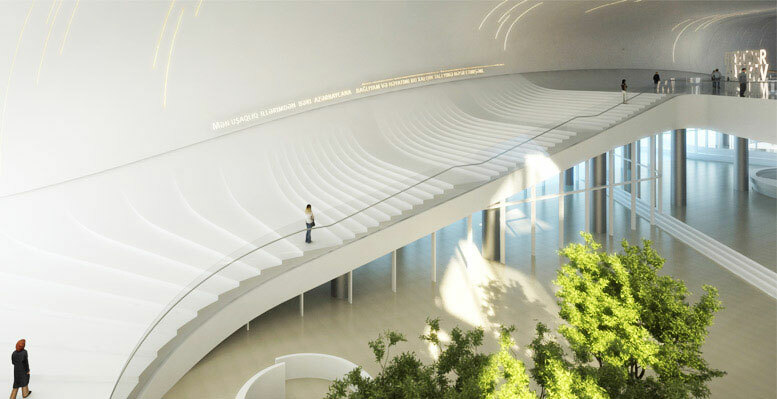 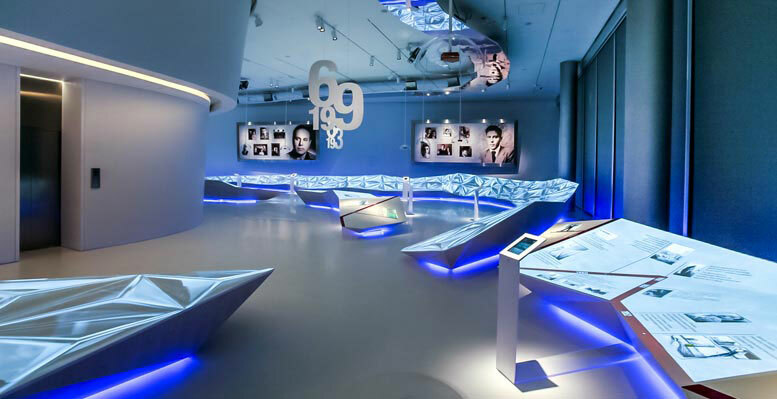 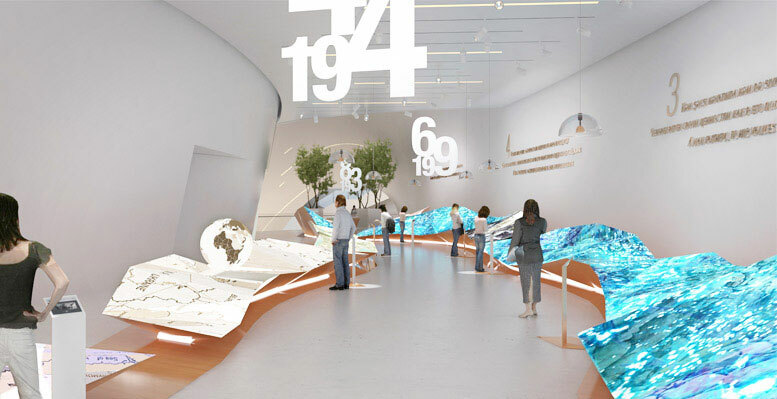 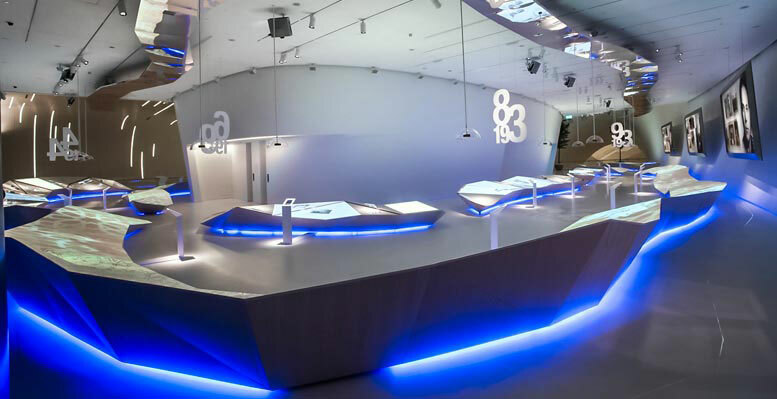 On May 10 2013, on the occasion of the celebration of the 90th anniversary of President Heydar Aliyev’s birth, a museum dedicated to the first President of Azerbaijan was inaugurated within the Heydar Aliyev Center cultural venue, designed by renowned architect Zaha Hadid. 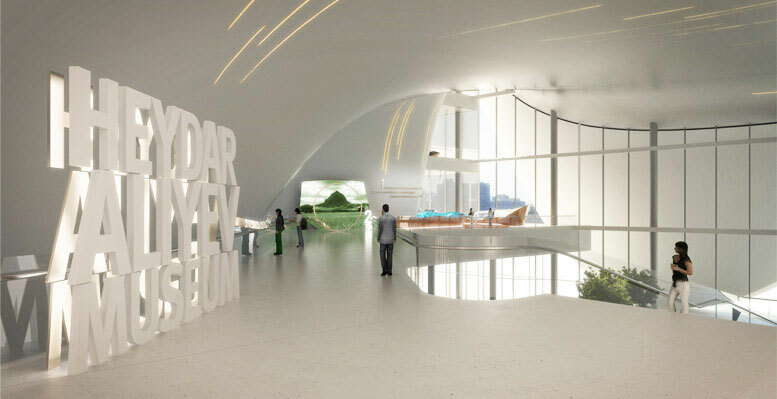 Simmetrico, in collaboration with the Arassociati architecture studio, was responsible for the creative concept, design, content development and the realization of the museum visitor experience. 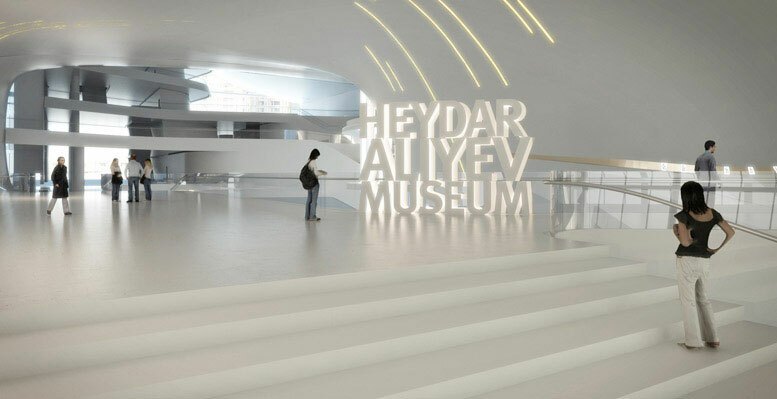 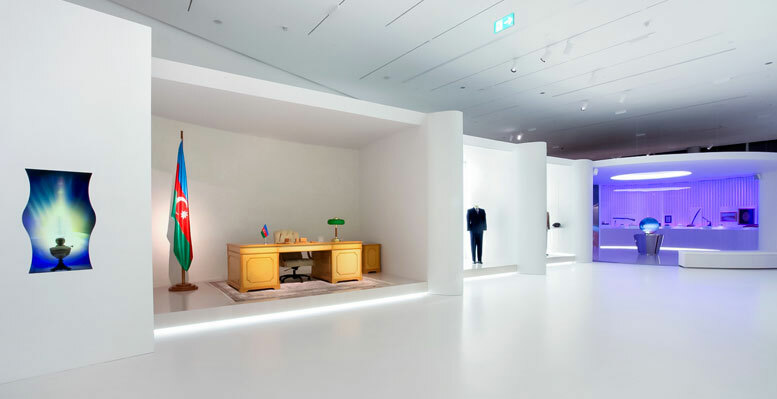 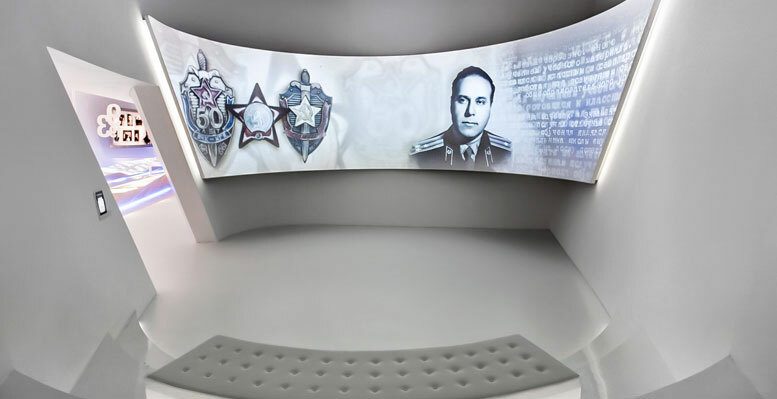 The narration flows along two lines of installations that, interweaving, tell the story of President Heydar Aliyev’s life and the history of the country. 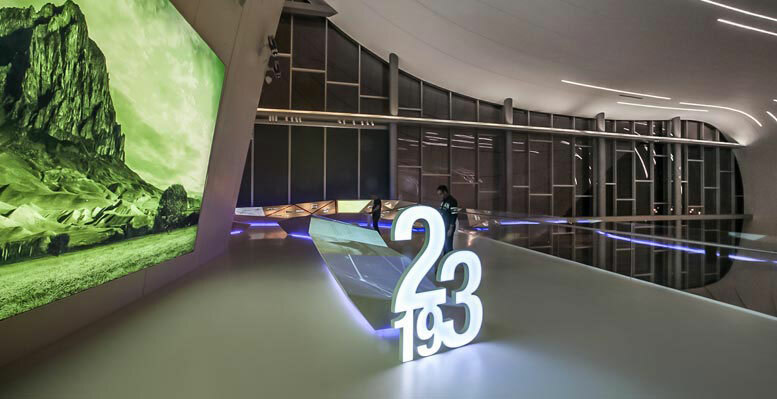 The two lines, together measuring 150 meters in length, resemble a fractal design and show video footage and projections. 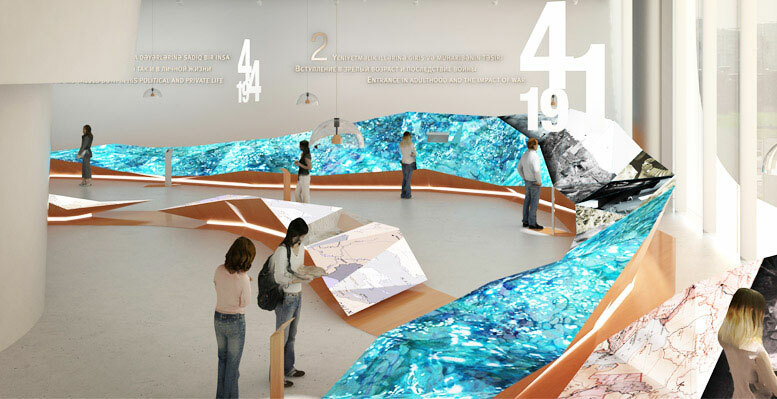 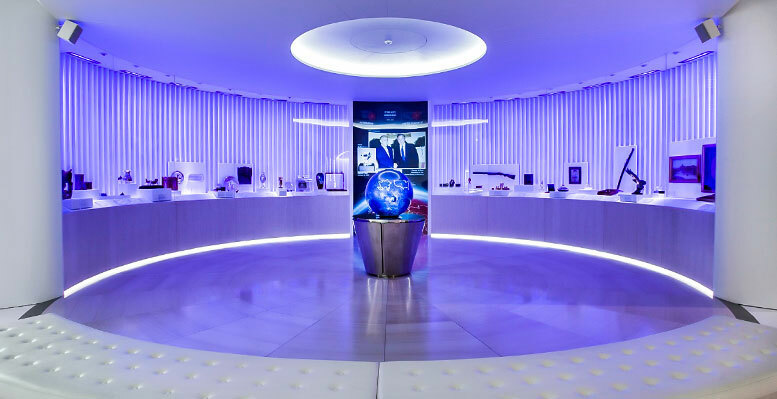 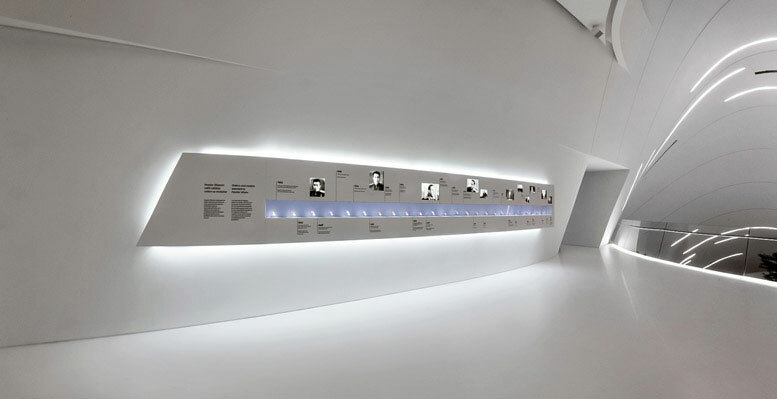 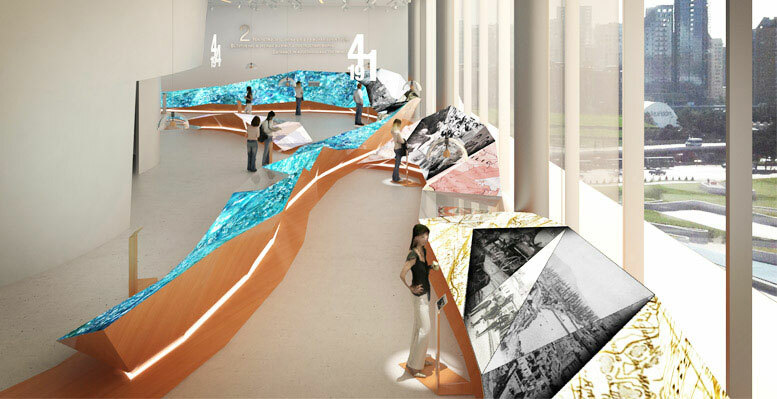 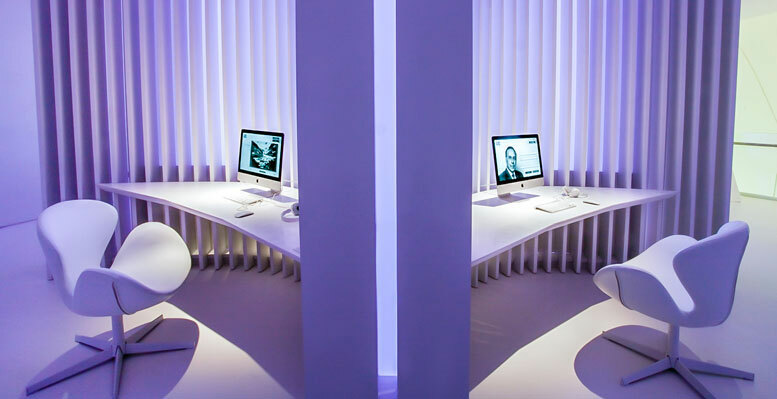 The second floor of the museum is dedicated to installations, multimedia interfaces, graphic material and projections.